Here are some essentials to help you stay sane during your next international flight with kids. Yes, the airline might be offering seat-back entertainment, and yes, you may be all about screen-free play on any given day, but now is not the time to stand on principles. If binge watching Doc McStuffins will ensure your child chills out just long enough for you to skim through that magazine you packed, hand it over. 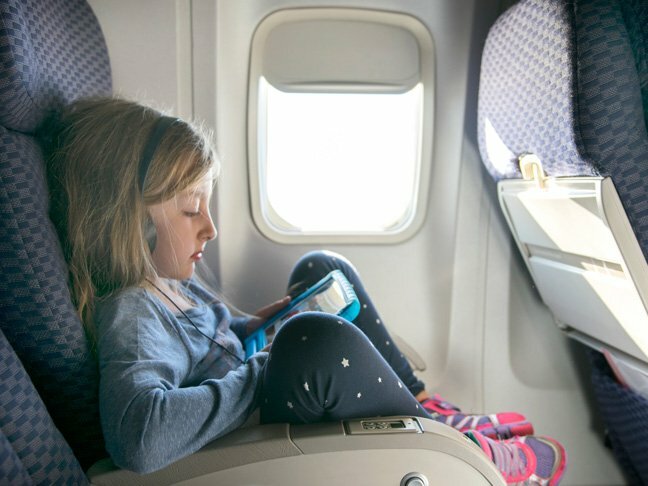 Take time before the flight to stock your tablet with videos of your kids’ favorite entertainer du jour, along with games for when Pixar’s finest just won’t cut it and books to hopefully entice them to do something educational. You don’t have to go pricey—especially if you have a kiddo who’s prone to spilling drinks or forgetting their tablet in the seat-back pocket. They’re essentially pipe cleaners coated in wax—and they’re worth about a thousand times their weight in gold. These mess-free gems can be used to sculpt 3-D figures or used flat to create gorgeous scenes—then picked up and reused again. Stickers seem like they could be a “five minutes, then they’re bored” proposition. But for some reason, kids can spend hours sticking those things to themselves and every available surface. Just make sure they’re reasonably easy to peel off, because you know that tray table’s going to get covered in them. All you need is thin sheets of square paper and some instructions to have fun mastering the art of Japanese paper folding. If your kiddo’s too young to DIY it, let them watch you make a frog or swan, then hand over your art so they can act out adventures with their new figures. A little clumsiness or turbulence could result in that essential red crayon rolling down where only contortionists can reclaim it. Score a set of triangular crayons or flattened pencils that are less prone to rolling to ensure that art projects, games of tic tac toe and rounds of hangman can continue uninterrupted. Even if your “baby” is long past diaper age, you’ll want wipes to keep the tray tables clear and freshen everyone up throughout the flight, or after eating. Stock up! 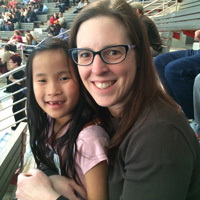 The easiest way to occupy your kiddo? Get them to go to sleep. Surprise them with a silly sleep mask, pillow, and blanket, and they’ll probably be intrigued enough to try them out (and hopefully, catch some zzzzs). That’s especially key if you need them to sleep on the plane to help minimize the jet lag suffering.